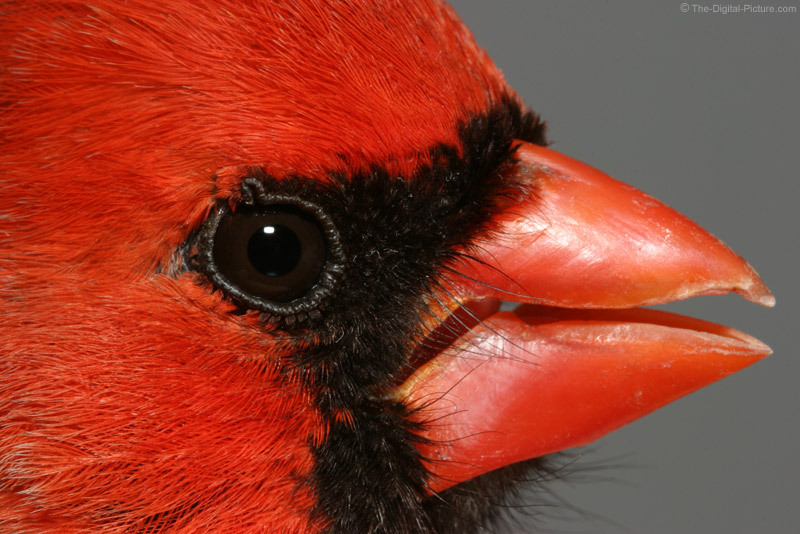 This Cardinal picture was the result of the Cardinal's navigation problem. The Cardinal was confused after trying to fly through a closed window. I happened to have the Canon 100mm Macro lens and Canon 550ex Flash mounted on the Canon 10D the moment he hit. The Cardinal stayed long enough for me to get a few pictures and then flew away. A rare experience and a unique macro Cardinal picture.